The perfect traveler or working girl city carry all tote handbag. Constructed of durable canvas material with leather handles accented with grommets. Classic and sophisticated for business meetings, simple and practical for out of town trips, works well for book club, carry crafts to the ball fields or back of the SUV with last minute out the door must haves. Available in three classy colors, red, natural and black. Coordinates with everyday ensembles. 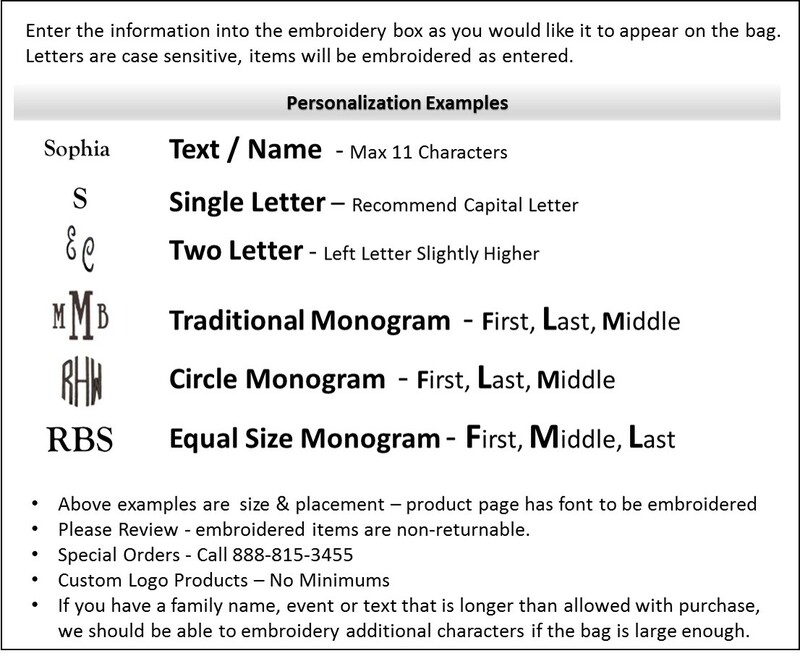 Monogrammed handbag canvas tote bag measures 18"W x 13.5"H, eight inches across the bottom. Open tote with a wide supported bottom. Includes three letter monogram.